New season, new hope. That’s Liverpool’s mantra ever since they last won the league some 26 years ago. But for the most part it would seem like a false alarm. Specially with all the off field troubles that had plagued the club over the years. Ambition from the previous owners after the opportunity that presented itself post that dramatic champions league night in Istanbul sustained only for 2 years and the gamble of appointing an exciting young manager backfired because of the nerve required to manage a club of this stature. Yet, the new season brings with it, an optimism unheard in recent times. And all that revolves around one man, the enchanting Jürgen Klopp. Liverpool’s charismatic manager has managed to turn the tide on what was a un Liverpool like crowd since the departure of their enigmatic front man Luis Suarez. There is belief that the wretched run of form will finally be arrested. But it is not a “Next season is ours” kind of belief. This is more measured and a patience to wait and stand by their passionate manager. How far can Liverpool go this season? With no European football and a squad well equipped with Klopp’s preferred Gegenpressing style, expect Liverpool to go all out in all their matches this season. They played the most number of matches for any club in Europe last season and yet managed to reach two finals with a squad that fell well short of those standards. His knack of making better players out of the ones in his disposal showed in the way he shaped the likes of Adam Lallana, Divock Origi, Dejan Lovren, Emre Can and Roberto Firmino. Expect the same for all his summer recruits this season. His lack of enterprise in the summer transfer window, although not surprising (Klopp was never a big spender), it did seem a little unwanted because the owners had money and he could have really bought in a couple of world class talents paying a hefty price. But he resisted that urge and it showed in pre-season with the performances of Marko Grujic and Ragnar Klavan. Sadio Mane is always a big talent and given his wealth of experience in the premier league he was expected to slot in quickly and he did that perfectly. He added more muscle to the back line with the addition of Joel Matip and Klavan while midfield was bolstered by the towering presence of Grujic and the energetic Wijinaldum. Despite that Klopp could have done well in the full back department by adding another left back during this time and not letting Jon Flanagan go on loan. Yet, it seemed like good business given he has also cleared out a lot of players for very decent money. The 75% clause on on-loan players and buy back and first denial on younger players showed why a top club like Liverpool needs a top coach in charge. This is his team now and he won’t complain one bit. He praised the quality of the squad left by Brendan Rodgers even though most of us cribbed and managed to out-perform. It will be all too exciting to see how his team does this season. What his recruits secretly show is that Liverpool are no longer dependent on the two world class talents in the team to bail them out all the times, Philippe Coutinho and Daniel Sturridge. There is healthy competition for places given the likes of Lallana and Henderson will be fighting for places and not automatic choices. Yet despite all of this there is no guarantee on where would Liverpool finish this season. They should be in Europe next season although it is still not clear in what competition. Antonio Conte had remarked that Klopp has had 9 months to work his style in the team and that gives him a clear advantage and he may be right. Guardiola and Conte are new to the league and Mourinho is new to a club that does not necessarily subscribe to his philosophy. Klopp will have no excuses if he missed out on Champions league next season because of limited game time. 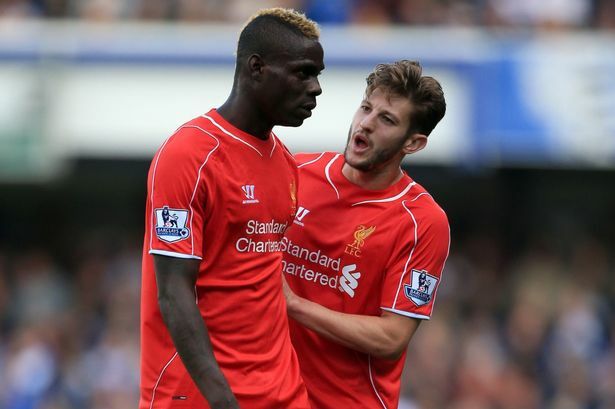 He would realise that it is his best chance of taking the next step towards Liverpool greatness. Also expecting a good run in the cup competitions given the squad strength & quality and the development of academy youngsters. Expect youngsters to be fighting for places in the cup competitions despite the availability of seniors. A cup and a champions league spot looks ideal but it is also far from guaranteed. But one thing is for sure. Jürgen Klopp’s transformation of Liverpool is progressing faster than expected and that is hope. There was a moment during Leicester City’s unveiling as Premier League Champions at the King Power stadium following their victory against Everton. While players were taking turns to lift the trophy some of them had to literally drag a reluctant player from the background, thrust him with the trophy and make him lift it while all along he was blushing with the new found fame. It was N’Golo Kante, the midfield destroyer around whom most of team’s victories was scripted. Leicester City’s extra ordinary tale from bottom of the premier league to champions in a matter of a solitary year is filled with sub plots of such individuals who raised themselves from obscurity to one of the biggest titles that they could ever hope to hold, English Premier League Winners. But it all begins with a manager, the perineal bridesmaid who has finally become the bride. Claudio Ranieri finally has that league trophy that has eluded him in all of the 26 years that he thrust himself in managing a football club. He is to the premier league what Goran Ivanisevic was for Wimbledon. When Ranieri was announced as Leicester Manager at the beginning of the season following the controversial yet successful Nigel Pearson, there were a lot of eye brows raised in doubt which included yours truly. Despite managing some big clubs has been always identified as a cup winner than a league winner. But why would they turn to a man who had failed so badly in his previous assignment in Greece? There was a sense of Leicester simply trying to stay afloat in the league or they just did not have many choices. Lest we know that they were making a coup very similar to the ones they pulled off in bringing in the likes of Riyad Mahrez and N’Golo Kante. And how well has he done! He turned a team of mostly second choices and discards into a fearless well-knit unit where everybody knew what they were doing and played for each other than for themselves. I guess this is what he had always wanted. Not a top team of glorious individuals but a team that he could mould. Reminds us a bit of Valencia and Rafa Benitez doesn’t it? And how in the world did he make 4-4-2 relevant again? All it took was a compact back four and Kante with excellent support act from Danny Drinkwater. Finally, a good old fashioned English football. It helped that the foxes barely played more than a game a week for most part of the campaign. But so did Liverpool in the title chasing 2013-14 season. We all know how that ended! Brendan Rodgers first fell under the Chelsea bus and tried to close an outrageous 12 goal gap with Manchester City with two games to spare. Ranieri simply chose to play the opponent by their merit. Experience do counts. Perhaps nobody epitomises the fearless spirit of the foxes than their poster boy, Jamie Vardy. From the interviews he gave to college students as a non-league player to being mentioned in awe by the likes of Gary Linaker is no mean feat. His searing pace, finishing ability and that touch of audacity while leading the line for Leicester made him the face of Leicester city and rightfully so. But none of this would have happened without the outstanding Riyad Mahrez who deservedly won the PFA player of the year. His trickery and skill has been the real difference to the Midland club’s rise to the pinnacle of English Football. Despite all their creative ability, the foxes’ fans owe a lot to their two colossal central defenders in captain Wes Morgan and Robert Huth who put their bodies on their line week in and week out while also coming up with the occasional but all important goals. Leicester City was relentless throughout the season but the key to that was staying injury free (which they did) and Ranieri’s vision to play a game on its merit and give enough respect to the opposition but at the same time closing the games out when it is done and dusted. No extravagance and focus only on crossing the line game after game. At the same time, it did not look like Chelsea’s parking the bus trick. The real question however will rise now. Will Leicester City be able to maintain this? Purely on gut instinct I feel that they will most likely finish outside the top four next season. Will they be able to do well in the champions league? If they get out of their group, it will be a miracle. But there is no doubt that they will enjoy their football and their fearless attitude will give them new fans but Ranieri for all his experience will know that it will be tough for them in Europe. Are we in for more surprises from the Tinker man and his fearless foxes? Because on face value any European standard forward will shred both Morgan and Huth to pieces and if they get out in group stages, then a long journey in the Europa league awaits. They won the league by fielding fewer players than any other team. Will they be able to sustain the pressure of playing in four tournaments and 60 games a year? Will Claudio Ranieri and Leicester City do a Nigel Clough and Nottingham Forest? Their first step will be in tying their star players to long term contracts and secondly in bringing quality backups. The scouting team that spotted the likes of Vardy, Mahrez and Kante will have do overtime to bring in new players of such promise. There are a million questions but now is not the time to answer them. Now is a time to celebrate one of the greatest sporting triumphs of all time. A reinstating of the belief that it’s not always about money and that hard work, focus and dedication still has relevance in modern day success stories. This is not a fairy tale. This is a tale of one team unwilling to give up and ready to fight like their lives were dependent on it. Leicester City and Claudio Ranieri has done it. The team did not bully their opponents nor did their manager played mind games with other managers and players. They just played good football. And for that we thank you. Andy S Grove, Intel’s former CEO, writes in his award winning book Only the Paranoid Survive that “The Person who is the star of the previous era is often the last one to adopt to change, the last one to yield to logic of a strategic inflection point, and tends to fall harder than most”. A strategic inflection point, he goes on to describe, is “a time in the life of business when its fundamentals are about to change. That change can mean an opportunity to rise to new heights. But it may just as likely signal the beginning of the end”. It is fair to say that football clubs, these days, can be looked up on as businesses – ones that thrive on investment, by virtue of which trophies and fans are won. Most football clubs have built their successes based on their past, historical times during which the breath of a club was stronger than its bank balance. The bank balance of a club, today, plays as much a role in its success as it has always done in a sport like Formula One. Catheram and Marusia, for instance, struggle because they aren’t financially as sound as some of their other competitors, and the entire cycle is influenced as a result of that. If money can buy success these days, it is important to have the right people who put the money in to good use. Football isn’t very dis-similar. With a plethora of investors throwing their currencies on clubs across Europe, clubs are increasingly becoming aware of the need to spend big, and more importantly, spend wise. Gone are those days where one could point fingers at the likes of Manchester City, or Chelsea, or PSG. Their argument would be simple – they’ve invested the money a lot more wisely than some of the other ‘big’ clubs. This brings me back to what Andy S Grove stresses, repeatedly, in his book. When a business achieves success, the investment comes in. The leader of the organization is expected to put the money in to good use assessing the business circumstances – market needs, competition, future trends and so on and so forth. There’s an interesting analogy that leaders use – that a great leader would have a microscope in one eye, and a telescope in the other. Try it and I’ll be surprised if you don’t get a headache. What this means is: a leader is aware of the short term goals that the business needs to achieve, yet aware of the long term vision for the organization. In footballing terms, a long term vision could be to improve the standards of a club’s academy thereby nurturing players who would become first team regulars in the long run. Or investing in young talent, through the help of a scouting system, from outside the club before their market value exponentially rises. This would save a lot of costs in the long run because the primary needs are being served by the organization from within. A short term vision, on the other hand, would be taking the necessary measures to ensure that for the following season, the resources are intact to match the club’s success over the previous year, if not out-perform. These could be players who fill in to address a void due to the loss of a key resource, or coaches that provide valuable back-room addition to improve on aspects where there were noticeable deficiencies. Let me get to the point. 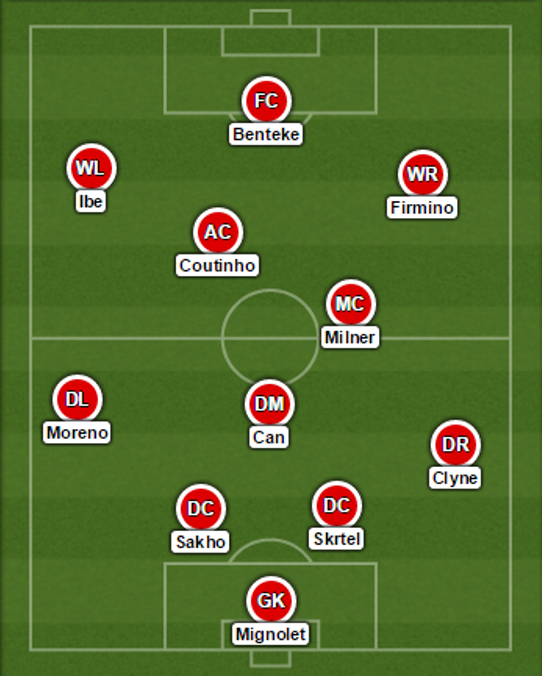 Liverpool FC find themselves at the helm of an inflexion point. The success that the 2013-14 season had bought the club, instead of leap-frogging a desire to reach higher standards, has sent the club on a roller coaster ride, in reverse gear. I am not seeking an opportunity to blamestorm here, I am a fan, and I will always ride through the highs and lows of the Liverpool family. What bemuses me, though, is a set of aberrant errors made by, understandably, a manager at the start of his career – very young by footballing standards. So let us begin with the long term vision. Liverpool’s academy has historically been a renowned one that has seen its graduates, to quote a few from the contemporary era, like Owen, Fowler, Gerrard, Carragher and Sterling, albeit through different circumstances, rise to great heights in the footballing circles. There is sufficient evidence to support the fact that the yesteryear managers of Liverpool FC, even until the likes of Houllier and Benitez had a strong team marshalling the academy to churn our first team material graduates. Although the academy can’t be faulted for its deficiencies, it is clear that Rodger’s inclination towards not using them points our fingers towards two possible explanations: one, that the support system that once existed through the likes of ex-Liverpool players, Steve Heighway and Phil Thompson for instance, has robbed the academy of the passion that otherwise would’ve been driven through men who knew the club best. The other explanation could be his own reluctance, for reasons he knows best. We aren’t qualified to comment on this, nevertheless, this will rob Rodgers off one of a characteristic that could have otherwise backed him during these turbulent times. Every football fan derives great pleasure from seeing their academy graduates being tested on the biggest arena – regardless of whether they succeed or fail. There’s still hope on players like Flanagan, Ibe, Wisdom and Rossiter who will be expected by the fans to feature in greater prominence in the seasons ahead. This does not deter fans from questioning some of Rodger’s decisions to invest in the transfer market, heavily, on players who are similar to those graduating from the academy with promise. Joao Carlos Tiexiera and Suso are examples of creative, attacking talent who could have been nurtured, instead of investing for similar roles heavily in the transfer market. This brings us to the short term vision. Given the ascent to Champions league football, and fuelled ambitions that called for the Premier League title after over two decades worth of wait, there were two concerns that the club had to address: lack of squad depth, and replacing arguably the best player of the Premier League over the course of the 2013-14 season. Metaphorically, Steven Gerrard may be the engine of the team, but the team wouldn’t have run had it not been for Suarez and his extraordinary feats. It would be unfair to question Rodgers tactics of investing heavily around other positions – yes, the squad did need the depth but not without replacing the engine. It hardly matters if an aeroplane has a new landing gear – the engine needs to be new, if not newly overhauled. Blame it on Liverpool’s recent branding as a second tier footballing city, Rodgers’ experience, rather the lack of it, as a manager of a top football club or the reluctance to spend big on a particular player, the summer transfer window of Liverpool FC resembled that of Spurs last season. Failure to learn from Tottenham’s debacle of trying to replace Bale with an extra team bus had fuelled comparisons sooner than say, at the end of the season. Rodgers would wish he could eat his words from last year when he’d, arrogantly so, stated that any team that had spent over a 100 million should be competing for the title. He finds himself sailing the same boat, raising more questions than answers to the ever-demanding audience of the Premier League. Arsene Wenger, despite his record of signing young talents, invested in experienced players who could deliver from day one – over the last few years, names like Mertesacker, Cazorla, Ozil, Sanchez, Giroud resonate with this theme. Rodgers, on the other hand, barring an unwanted Balotelli, and Lallana, cannot claim to have signed ‘first team material’. This would beg the question as to why Liverpool were unable to sign a ‘marquee player’ this summer to take over Suarez’s mantle. Whether you blame it on Rodgers ambition, rather the lack of it, or the brand value Liverpool carries today, the manager is answerable. 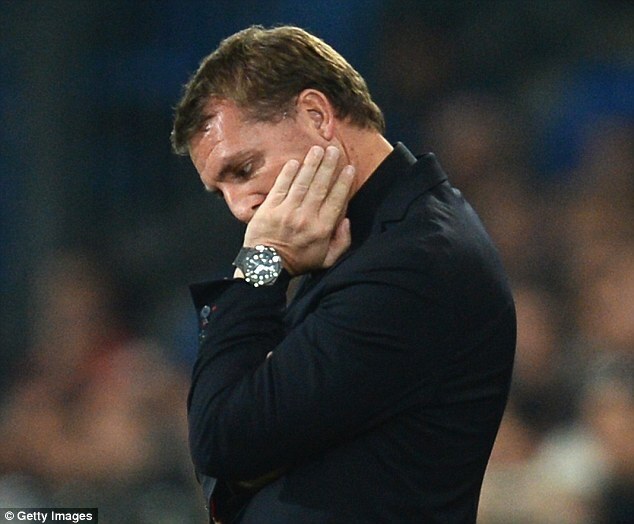 To sum it up, Rodgers’ failings over the last few months is indicative of a ship that is about to hit an iceberg. What is clear now is that the iceberg is visible, the question is: who is going to steer the ship away from an impending disaster? 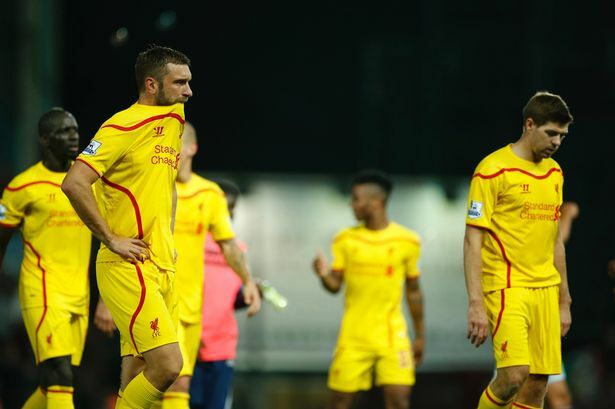 What next for Liverpool FC? In some way, this is a narrative of a crisis foretold. The Fenway Sports Group claims to have made its decision based on ‘footballing reasons’, contrasting to those made by Hodgson as to the exclusion of Rio Ferdinand from the England squad. They’ve decided to take matters to their own hands for the problem, as obvious as it is in prospect now, is that Liverpool, presently, lacks some of the key attributes that other successful clubs have. Primarily, FSG needs to address the central problem of the 2011-12 season debacles: a handful of players had cost so much money that they should not be allowed to fail, lest the perennial problems will sustain – lack of goals, and lack of imagination. A few pessimists, half way through the season, had already begun lamenting that the owners weren’t bolder – that a club like Liverpool simply couldn’t afford to wait and watch. Under Kenny’s leadership, FSG did have belief that a turn-around was possible, for disappointments are common in football. Disasters are the ones that are rare, and during a time when the club seemed to be heading for a feared collision course, it was commendable for a club legend like Kenny, who’d had nothing more to prove, to step up and assist a club he loved. Although, in hindsight, to finish eight in the league, and below arch rivals Everton, is disastrous. The hard-liners often invoke the troubles facing heavy-price-tagged signings being the root cause behind Kenny’s downfall. Even back then, no one in their right senses would’ve paid an amount so high to acquire the services of Andy Carroll, Jordan Henderson and, to an extent, Stewart Downing (although he was voted Aston Villa’s player of the season and looked every bit as exciting as wingers the club had never had). Their episodes of improvement towards the end of the season weren’t enough to undo the damage from the initial slump, and it ultimately cost their manager his job, albeit the owners stating that even a Cup Double wouldn’t have changed their minds. I’m not totally sure that the FSG’s new theme would shake up things at Anfield, but certainly this is the closest that any owner has come to sacking a club legend in order to diagnose the real problems at the heart of Liverpool’s performances. Kenny is to Liverpool what Tendulkar is to the Indians, and not to forget that no rational path forward has been proposed yet. The pool of candidates being short-listed for the job don’t exactly send shivers down your spine – with the exception of Pep Guardiola, but this would be addressed if we prefix the word ‘candidates’ with ‘realistic’. A few theorists mention Villas-Boas as a top contender, and argue that the blemish on his CV (spelt Chelsea) is more due to the impatience of his ex-Russian boss. Sure, AVB would find company in the form of Jamie Carragher if he chose to fly in football’s cerebral stratosphere. But given his proclaimed track-record on being a micro manager, he’s likely to fall out of favor with most – unless he’s mended his mentality over the un-opted sabbatical. His methods are believed to be so relentless (and rigid) that it might prove too heavy a dosage for those who’re getting used to seeing the newer teams play successful, attacking football. Players might agree to his theories, but they’re not likely to buy them. The owners are also believed to be flirting with the thoughts of approaching managers lesser known outside the BPL fan following base: Martinez, Rodgers and Lambert – in that very order. AVB’s Chelsea stint, in itself, had dispelled the case for a young, talented (and inexperienced) manager to be thrown into a gauntlet of fire and expectations. Although, in fairness to the Portuguese, his case proliferates the notion that no one would’ve stood a chance against Roman and his over-optimistic ambitions. Coming back to the case of three managers under the microscope, it isn’t rocket science to understand and admit that they’ve had their sides carrying more payload than they can handle. Which is good because no one would hate to see new / lesser-known sides do well against the Goliaths – remember FC Rubin Kazan doing a ‘David’ against the mighty Barcelona? But an awful truth that became apparent when Liverpool had appointed Roy Hodgson as manager a couple of seasons ago was that one simply couldn’t bank on the results they’ve amassed with lesser teams. Roy, current England boss, has built a reputation of being one who can make lesser mortals push above their own weights – something English fans would hope that he does at the Euros. Surely, the FSG wouldn’t be willing to take a risk along these lines – especially at the aftermath of sacking a legend. Like how the EU is a byword for failed economic policies these days, a post-Roy era still sees the club suffering from slow growth, if not decline. In simple words, the club has already conducted a dress-rehearsal for a crisis that would persist if such a move were to be made again. The worst part is that such a tenet would seem so unfair on these three managers, whose true potential to handle such enormous expectations we will never know unless such a step is taken. It is a near certainty that the restructured management must have names that would partially, if not entirely, overshadow the Dalglish episode. And that the new manager must bring in, and instill, a philosophy that preaches attacking, attractive football. Kenny, incidentally, was quoted a number of times saying that Liverpool were pleasing to the eye, but darn unlucky with the woodwork, among others. The real challenge is that there isn’t too much money to spend for the new boss, and some of the existing players don’t look a bunch that promises fluid football. The limited transfer kitty needs to be used to address three primary areas of concern: a poacher, a tricky winger, and a creative central midfielder. Not too long ago, Liverpool were in possession of players that had addressed two of these three areas – Torres and Xabi Alonso. Albert Riera was a good winger, but never world class. The real challenge today, however, is to attract names purely on the basis of Liverpool FC being a brand, for the club doesn’t promise Champions League football for potential targets. Such a fate would’ve been considered unthinkable, for the same reasons that we thought for Greece leaving the Euro being impossible. But when you’ve ruled out everything else, few options are left.